Discussion in 'China & Asia Pacific' started by Martian, Apr 16, 2010. The BeiDou Navigation Satellite System (BDS, simplified Chinese: 北斗卫星导航系统; traditional Chinese: 北斗衛星導航系統; pinyin: Běidǒu wèixīng dǎoháng xìtǒng) is a Chinese satellite navigation system. It consists of two separate satellite constellations – a limited test system that has been operating since 2000, and a full-scale global navigation system that is currently under construction. The first BeiDou system, officially called the BeiDou Satellite Navigation Experimental System (simplified Chinese: 北斗卫星导航试验系统; traditional Chinese: 北斗衛星導航試驗系統; pinyin: Běidǒu wèixīng dǎoháng shìyàn xìtǒng) and also known as BeiDou-1, consists of three satellites and offers limited coverage and applications. It has been offering navigation services, mainly for customers in China and neighboring regions, since 2000. The second generation of the system, officially called the BeiDou Navigation Satellite System (BDS) and also known as COMPASS or BeiDou-2, will be a global satellite navigation system consisting of 35 satellites, and is under construction as of January 2015. It became operational in China in December 2011, with 10 satellites in use, and began offering services to customers in the Asia-Pacific region in December 2012. It is planned to begin serving global customers upon its completion in 2020. In 2015, China started the build-up of the third generation BeiDou system (BDS-3) in the global coverage constellation. The first BDS-3 satellite was launched 30 March 2015. As of February 2016, five BDS-3 in-orbit validation satellites have been launched. 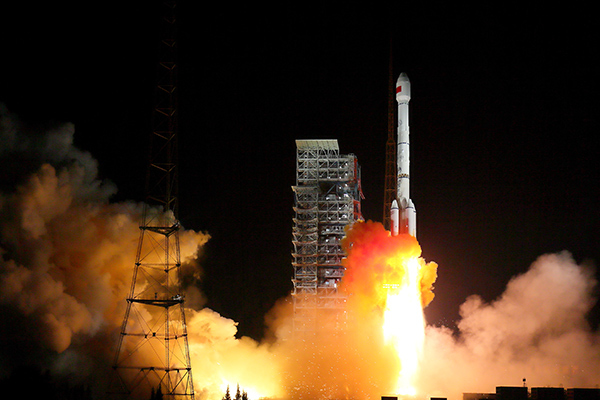 According to China Daily, fifteen years after the satellite system was launched, it is now generating a turnover of $31.5 billion per annum for major companies such as China Aerospace Science and Industry Corp, AutoNavi Holdings Ltd, and China North Industries Group Corp.
Beidou has been described as a potential navigation satellite system to overtake GPS in global usage, and is expected to be more accurate than the GPS once it is fully completed. 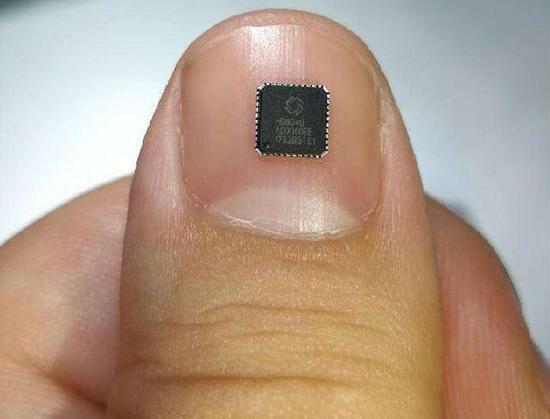 40 nanometer Beidou navigation core chip, about 10 yuan RMB. If the development of artificial intelligence is an arms race, then China wants to become the world’s unchallenged AI superpower. While the National Science Foundation in the US has no increase in funding this year, China has promised to “vigorously use governmental and social capital” to dominate the industry. US and Chinese tech companies alike are ploughing money and talent into AI, but Beijing’s blueprint for investing in artificial intelligence — creating a $150bn industry by 2030 — underlines its desire to beat the US. Beijing tops the list of cities for research output while Shanghai ranks the fifth, according to Nature Index 2017 Science Cities supplement released on Thursday, reports Xinhua. The Nature Index is a database of author affiliation information collated from research articles published in an independently selected group of 68 science journals. Nature Index 2017 Science Cities supplement has tracked counts of research output of 500 cities worldwide in the last year. The supplement explores the top ten cities with highest research output in the method of weighted fractional count (WFC). The top three cities are Beijing, Paris and New York, with the respective WFC of 1693, 1231 and 846, followed by Cambridge (U.S.), Shanghai, Tokyo, London, Boston, San Diego, Cambridge (UK), according to the index. Late last month, a 2,000-kilometer-long quantum fiber link, the longest and most sophisticated in the world, was launched to connect Beijing and Shanghai and provide an unhackable communications route between the cities. During the link's launch in Beijing, Bai Chunli, president of the Chinese Academy of Sciences, used Micius, the world's first quantum communication satellite which was launched by China last year, to make the first intercontinental quantum video call and spoke with Anton Zeilinger, his Austrian counterpart, in Vienna. The breakthrough in quantum communication is one of a number of scientific achievements made by China in the past five years. Thanks to strong policy support and a growing pool of talent that is constantly pushing the envelope of technology, the world's second-largest economy is rapidly being transformed from a follower to a global leader in innovation. The shift is in line with the call by Xi Jinping, general secretary of the Communist Party of China Central Committee, on Wednesday for more efforts to make China into a country of innovators and reach the frontiers of science and technology. Innovation is the primary force driving development, and it is the strategic underpinning for building a modernized economy, Xi said in a report delivered to the CPC's 19th National Congress. "We will strengthen basic research in applied sciences, launch major national science and technology projects, and prioritize innovation in key generic technologies, cutting-edge frontier technologies, modern engineering technologies, and disruptive technologies," the president added. Progress has already been made in the past five years, and China has emerged as a leader in the field of technology, with breakthroughs ranging from the maiden flight of the country's first homegrown large passenger aircraft to the debut of the fastest train in the world, from the Beidou Navigation Satellite System, which is set to cover the world by 2020, to robotics and artificial intelligence technologies that are widely regarded as the next frontier of growth. According to the 2017 report of the World Intellectual Property Organization, China is the only middle-income country in the list of the world's top 25 most innovative economies, where it is ranked 22nd. The achievement was lauded by Wan Gang, minister of Science and Technology, who said, "On the whole, we have met the goal of 'occupying a place' in the major fields of science and technology, which lays a sound foundation for China to be an innovation powerhouse." Meanwhile, a special issue of the scientific journal Nature noted that "Chinese science has been moving at breakneck speed for the past few decades, fueled by vast infusions of cash and a rapidly growing technical workforce." According to Nature, China now boasts more researchers than the United States, outspends the European Union in research and development and "is on track to best all other nations in its yearly production of scientific papers". Bai, from CAS, commented: "Important scientific work has mushroomed in China in recent years. It is the result of years of research and development. Policy guidance, financial support and continued efforts to deepen reform have all played parts in stimulating this vitality." More important, according to analysts, scientific research has been efficiently commercialized, with China pouring large sums into the latter stages of the R&D process, during which discoveries are turned into products. High-speed rail has been one of the most impressive areas of progress. In recent years, China has built the world's largest high-speed rail network and become a world leader in providing globally competitive high-speed products and services. By 2020, China Railway Rolling Stock Corp, which manufacturers the country's high-speed trains, is expected to supply new bullet trains with a maximum operating speed of 400 kilometers per hour to markets related to the Belt and Road Initiative. The new trains will also cut per passenger energy consumption by 10 percent, compared with trains that run at 350 km/h. "Over the past few years, China has demonstrated its competitive edge in high-speed rail technology," said Wang Mengshu, a railway expert and a member of the Chinese Academy of Engineering. 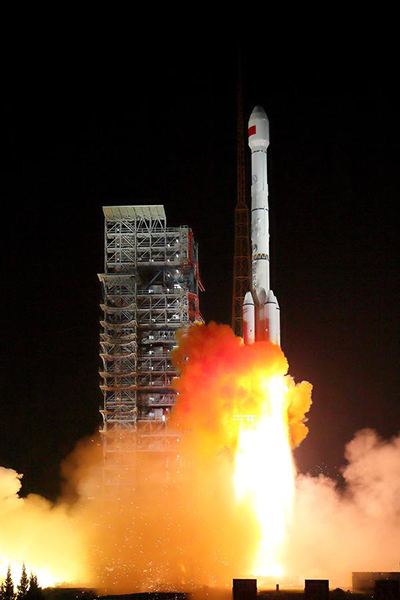 After it was confirmed that Beidou, the homegrown navigation satellite system, covered the entire Asia-Pacific region in 2012, several more satellites were launched, enabling wider applications in logistics, aviation, precision farming and other industries that demand high-accuracy positioning. Earlier this month, for the first time, Beidou was used to guide a Chinese-developed regional jetliner as it successfully completed a test flight at an airport in the eastern province of Shandong. The flight demonstrated that Beidou's performance is on a par with similar systems produced overseas and meets internationally advanced levels in transient and quick positioning index, according to the plane's manufacturer, Commercial Aircraft Corporation of China. Meanwhile, a tide of innovation is sweeping China, helping the country to evolve from an "innovation sponge", absorbing and adapting existing technology and knowledge from around the world, into a global leader in innovation, spawning a wide range of homegrown cutting-edge products and services. Nothing better demonstrates this than the bike-sharing phenomenon. Created by Chinese players, including Ofo and Mobike, GPS-enabled, dockless bikes are now improving the lives of people in big cities at home and abroad who are fed up with congested roads and long for zero-emissions forms of transportation. In September, Ofo announced that it would launch its services in four European countries－the Czech Republic, Italy, Russia and the Netherlands－moving the company closer to meeting its ambitious goal of entering 200 cities in 20 countries by the end of the year. "In stark contrast to the previous generation of Chinese companies that focused on domestic growth until the market became saturated, emerging startups are better at coming up with their own ideas and better aware of the opportunities abroad," said Zhang Xu, an analyst at Analysys, a market researcher in Beijing. The surge in mass entrepreneurship and innovation, buoyed by favorable government policies, is noticeable. By the end of last year, the country had nearly 26 million registered private and State-owned businesses, a rise of 18.8 percent from the previous year, according to the National Development and Reform Commission. More important, 71 internet companies are "unicorns", that is, private businesses valued at more than $1 billion each. Notably, four of them－Didi Chuxing, Xiaomi, Lu and Meituan-Dianping－have made the list of the world's 10 most valuable unicorns. 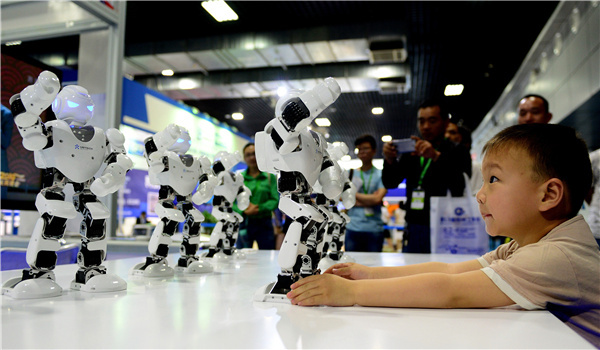 According to the Ministry of Industry and Information Technology, China's artificial intelligence sector is now equal to those in leading global powers in terms of voice, image and semantics recognition technologies. Li Shu, a partner at Boston Consulting said: "China is a global pioneer in the field of internet development, as the growth in the number of netizens and the volume of internet consumption both top the corresponding rates in other nations. We have found that innovation permeates much quicker in China than the United States because Chinese netizens are more willing to accept new applications." For example, online shopping is now the norm for hundreds of millions of Chinese consumers. The advent of e-commerce, online payment and courier services means consumers can have goods delivered to their doorsteps within hours with just a few taps on their mobile gadgets. In the past five years, China's online retail market has surged from 1.3 trillion yuan ($196.5 billion) to 5.2 trillion yuan, raising living standards in both big cities and villages, according to a report released this month by Alibaba's research unit. Juggernauts such as Alibaba and JD.com have lured shoppers through the use of annual discount shopping galas that could eventually eclipse Black Friday in the US. Moreover, smaller players are pushing ahead with the digital shopping frenzy by connecting a larger number of affluent Chinese with a wide array of foreign goods, while companies such as Red and Kaola, which is owned by NetEase, are heavily promoting cross-border e-commerce. Market researcher eMarketer estimates that by 2020, half of China's digital shoppers-about one-quarter of the country's population of 1.4 billion－will be buying foreign products online and total sales will top $157 billion. Likewise, the country's mobile payment industry has made its mark in the outside world by moving away from its original function of simply facilitating transactions and embracing new activities such as wealth management, credit scoring and utility bill payments. Girish Ramachandran, Asia-Pacific president of Tata Consultancy Services, India's largest information technology company, said China's rapid strides in digital technologies and innovation capability have indirectly inspired India to digitize its economy. For example, Ant Financial Services, the owner of China's largest mobile payment service, has brought its wireless payment solutions to its Indian counterpart Paytm.com, and the two signed an agreement in 2015 to create a local version of Alipay. Zhang Wentao, a college student in Beijing, is typical of the younger generation, which has grown up in the midst of China's tech revolution: "When I go out, I don't bother to take a wallet. A smartphone is all I need to buy almost everything I need." The aerospace industry is an important market for the production of 3D-printed parts. Boeing uses additive manufacturing extensively to produce environmental control system ducting for directing the flow of air on military and commercial aircrafts. Boeing has used 30 3D-printed parts, including environmental control ducts (ECDs) that carry cool air to electronic equipment on its luxurious Dreamliner. These ducts have complicated shapes that formerly had to be assembled from numerous pieces. But with 3D printing they can be printed in one piece, saving time and cost – at a savings of 25% to 50% per part in the process. As the world's largest manufacturing country, the development of 3D printing technology is important to China. China believes that 3D printing technology will promote the upgrading of the aircraft industry. Since 2001, China began to focus on the development 3D laser printing technology to make titanium alloy structural components. J-15 chief architect Sun Cong revealed that 3D printing has been widely used in designing and producing its military aircraft, from the J-16 fighter to the next-generation J-31. The latest carrier fighter prototype which had its first successful test in October and November 2012, used a 3D printer to manufacture its critical titanium alloy load-bearing structure on the aircraft, including the entire nose landing gear. Aeronautical materials expert Wang Huamin says China only needs 55 days to "print out" the main windshield frame of a C-919 commercial jet and the parts cost less than $200,000. By comparison, it could take at least two years and US $2 million for a European plane manufacturer using traditional methods. Wang's team at Beihang University created the world's largest 3D laser printer so far. The team used rapid prototyping technology to produce titanium alloy landing-gear and a large main force-bearing frame for the C919 aircraft which was printed as one piece. Beihang University invented a new series of 3D printing technology and related software, effectively overcoming metal material deformation, warping, cracking and other problems. In addition, the high-energy laser melts metals into liquid at temperatures of up to several thousand degrees Celsius, requiring a specific oxygen- and nitrogen-free environment. The traditional approach is to build a large vacuum chamber with the machine, printer, etc inside. The researchers invented new equipment to put 3D printed parts in the protective chambers that only need to be similar in size to the parts. This equipment is convenient, easy to maintain and inexpensive. Recently, some of the complex, titanium alloy structures produced by Beihang has been approved for use in nuclear power plants and onboard satellites and rockets. In northwest China, the State Key Laboratory of Solidification Processing, Northwestern Polytechnical University (NPU) began its research on Laser Additive Manufacturing (LAM) in 1995. The emphasis has been focused on obtaining excellent mechanical properties for LAMed metal parts through careful control of the material microstructures. The material of LAMed parts includes titanium alloys, superalloys, and stainless steel. In 2013, NPU manufactured a 5 meter long central wing spar with Laser Additive Manufacturing technology for Comac C919 passenger-plane which is expected to be finished in 2014 and to enter commercial service in 2016. A forged part weighs around 1,607 kg, the part produced using laser 3D printing technology weighs only 136 kg and saves 91.5 percent of the materials. Tests show 3D printed parts peform better than the forged parts. China has been focused on developing large-scale 3D printing technology, which, as Wang Hua Ming said, has already surpassed the United States. Back in 2011, Huazhong University of Science and Technology research team in China successfully developed a selective Laser Sintering machine with build volume of 1200mm x 1200mm. In June 2013, Dalian University of Technology and Unit Science and Technology Development Co. Ltd. developed a laser 3D printer with the maximum processing size of 1.8 m. The building area of this 3D printer reaches to 1.8 x 1.8 x 1.8 meter. With its unique technique of "contour scanning", this 3D printer will shorten processing time by 35% and reduce manufacturing costs by 40% compared to other types of laser 3D printers, according to the team. This laser 3D printer can be used to make casting moulds for large industrial prototypes with complex structures. In November 2013, Nanfang Ventilator Co., Ltd announced its largest 3D printing device into the installation and commissioning phase. This will be the first large-scale realization of 3D printing technology. This 3D printer is expected to start production by the end of February 2014, and will also be the world's largest 3D printer for products and equipment. According to the company, the equipment is 28 meters long, 23 meters wide, and 9.5 meters high. The printer produces heavy metal components with a maximum diameter of 6 m and weighing up to 300 tons. These parts made using 3D printing have shorter production cycles, lower costs, high performance, and other advantages. They can be used in important manufacturing applications in industries like nuclear and power, petrochemical, metallurgy, shipbuilding, and others. The suitable materials for this 3D printer will include carbon steel, low-alloy steel, stainless steel and others. Low-alloy steel products are used primarily for nuclear and power applications, including nuclear pressure vessels; while carbon steel is mainly used for parts in generating thermal and hydropower. What is Next for 3D Printing After China’s First Commercial Airliner Maiden Flight? BEIJING, May 23rd, 2017 – The first China built commercial airliner C919 took its maiden flight on 5th May, 2017 at Shanghai Pudong International Airport. This marks a historical moment in China’s aviation industry. C919 was developed by the Commercial Aircraft Corporation of China Ltd (COMAC), who used 3D printing technologies and specialty metals like titanium alloys in the developments of the airliner. 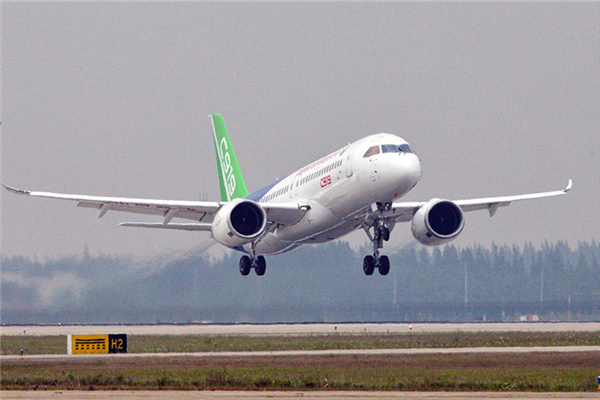 COMAC designed and assembled C919 in Shanghai while the parts of the airliner were manufactured by different suppliers in China. Front parts and wings were made in Chengdu and Xi’an. The main body parts were made in Nanchang. 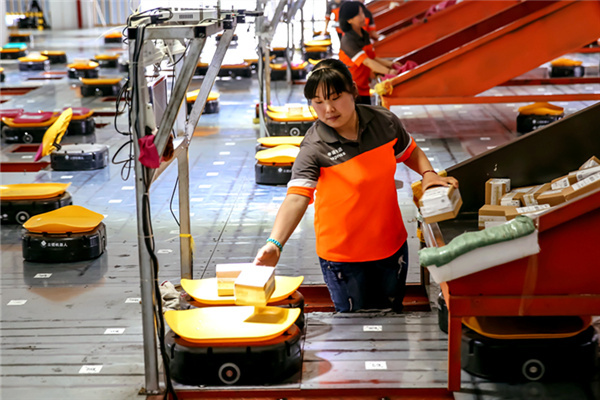 The “Made in China 2025” master plan sets the routes for China to radically transform its traditional manufacturing economy. The successful maiden flight of C919 has demonstrated China’s ambitions and determination to compete with the high-end manufacturing sector in the West. The “Made in China 2025” master plan focuses on 10 sectors – one of which is the development of aerospace equipment, as well as 3D Printing. The government recognizes that 3D Printing is a strong enabler to China manufacturing’s overall growth. 3D printed titanium parts were installed on C919 to reduce the airliner weight and increase its safety. Twenty-eight cabin door parts and two fan inlet structural parts were installed on C919. The existing parts on C919 were largely made in China, or around 60% vs the original target of only 10%. However, critical parts were still made by foreign suppliers namely CFM International, Liebher-Aerospace, FACC and Honeywell. CFM International supplied the jet engines and Liebher-Aerospace made the landing gear. Honeywell made the flight control systems, wheels, brakes, auxiliary power units and navigation systems while FACC supplied the cockpit. The next target is to increase the parts made locally to 90% and install made-in-China jet engines by 2025. The aggressive development of China’s aviation industry will lead to increasing demand for 3D printers and metal powders. “We will see more use cases on the adoption of 3D printing technologies in the aerospace industry. For instance, General Electric (GE) acquired two metal 3D printer manufacturers, Concept Laser and Arcam, in which they have been providing 3D printers to aircraft parts manufacturers. Jet engine manufacturer Rolls Royce is one of Arcam’s users. Norsk Titanium produces the first Federal Aviation Administration (FAA) approved 3D printed structural titanium components for Boeing Dreamliner,” says Wendy Mok, Research Manager of IDC’s Imaging Printing and Document Solutions research. Suppliers of C919 parts have proven the value of adopting 3D printing in the manufacturing process. Metal 3D printers of foreign brands were used by FalconTech, who supplied a total of 30 metal 3D printed parts to C919. Due to its reliability and numerous successful use cases in related industries, imported 3D printers have held a significant competitive advantage over domestic ones in China’s high-end manufacturing sectors. However, it could create financial burden and resources allocation problems to the manufacturers who carry different 3D printers. “Outsourcing 3D printing services will save the initial investment cost and enables the manufacturers to focus on product development. Moreover, individual suppliers could provide services and parts according to their product portfolios. Such collaborations will help improve the overall product quality. This business model also provides 3D printer vendors a point of penetration,” Mok added. “The local aircraft makers will not be the only ones to benefit from the growing aviation industry, with foreign companies also looking at China’s airliner market. Boeing is planning to build a facility in China while Airbus have started to assemble their A320s in Tianjin. Moreover, parts supplied by foreign companies could be made in China as well. The huge domestic demand on airliners is attracting more market players and competition. This will further push the growth of 3D printing industry in terms of both hardware and materials,” Mok added. According to the IDC Worldwide Semiannual 3D Printer Tracker, China’s metal-based 3D Printer market size in 2016 is 181 units and we expect this to grow 4 times in 3 years’ time. The successful maiden flight of C919 has made the usage of 3D printing technologies a role model in China’s manufacturing sector. The brand effect of C919 will further promote the development and applications of innovative technologies. More and more companies are expected to adopt 3D printing technologies in their production process. To achieve the targets set in ‘Made in China 2025’ master plan, the Chinese government will allocate more resources to push the transformation and development of high-end manufacturing sectors. Besides aerospace industry, railways (bullet train) and automotive industries are expected to accelerate their transformation. These activities will induce the demand for advanced 3D printing technology and diversity of materials. “Market players like 3D printer vendors, material suppliers and service bureaus should have a comprehensive understanding on the market segments and their related development trends. With the right market positioning and entry point, these market players will be able to gain more return on the fast-growing 3D printing market,” ended Mok. 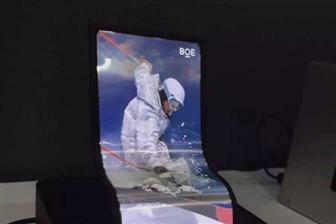 China-based BOE Technology Group kicked off its 6G AMOLED panel production line in Chengdu, Sichuan for volume production on October 26, marking the official run of the country's first and the world's second 6G flexible AMOLED panel production line, according to company sources. The sources said that BOE will soon ship AMOLED panels to over 10 smartphone vendors in China including Huawei, Oppo, Vivo, Xiaomi Technology, ZTE and Nubia, adding that its 6G AMOLED panel production line in Mianyang, also in Sichuan, will become operational in 2019. BOE CEO Chen Yanshun said the official run of the 6G AMOLED panel line will sharply boost the firm's overall competitiveness in the panel market for high-performance smartphones and wearable devices and help to meet market demand for small to medium-sized display products, while marking a new milestone in the development of the AMOLED panel industry in China. Chen continued that at a total investment of CNY46.5 billion (US$6.988 billion), construction of the 6G AMOLED fab kicked off in May 2015 and was completed for trial production in May 2017 before mass production in late October. The line has a monthly production capacity of 48,000 glass substrates measuring 1,850mm x 1,500mm. BOE started to engage in the research and development of innovative OLED displays in 2002, and accumulated more than 16,000 OLED-related patents as of the end of June 2017, according to Chen. The firm's AMOLED product lines include 5.5-inch WQHD flexible OLED panels, 7.8-inch foldable panels, 7.56-inch QHD panels, 5.5-inch FRHD all-screen OLED panels, and the world's unique 1.53-inch embedded OLED touch screen panels, according to company sources. Global AMOLED panel shipments came to 416 million units in 2016, with 390 million used in mobile phones. In 2017, global shipments of AMOLED panels for smartphone uses will increase to 513 million units, and global production capacity for flexible AMOLED will increase sharply to 20.1 million square meters in 2020 from 1.5 million square meters in 2016, according to market sources. China’s development of heavy-duty machinery has earned so much pride for the country in recent years. The self-propelled cutter-suction dredger, Tianjing or Sky Whale, is one good example. The vessel is the largest cutter-suction dredger in Asia. 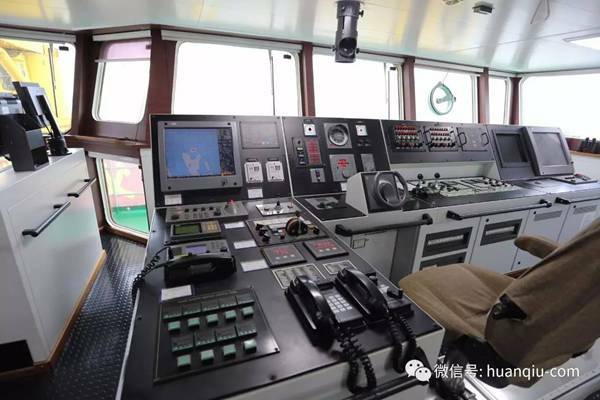 Financed by Tianjin Waterway Bureau Limited under China Communications Construction Company Ltd (CCCC), the dredger is co-designed by Shanghai Jiaotong University and German company, VOSTALMG. It was built by China Merchants Heavy Industry (Shenzhen) Company Ltd. Surrounded by steel frames and crane arms, the vessel’s deck is more like a construction site. The only thing that distinguishes it from a real construction site is its clean environment. People on the vessel are required to put on safety helmets once they step out of the cabin. China has a long history of dredging, though modern technology has since replaced human labor. Tianjing has been hailed as a mighty tool for island-building because of its strong excavation and hydraulic reclamation ability. According to a crew member, Tianjing can excavate 4,500 cubic meters of mixture from the seabed each hour - the equivalence of a 0.5-meter-deep pit and a standard soccer field size. Cuts rocks as easy as mud! The vessel’s reamer has endowed it with powerful ability. The reamer is normally inconspicuous in pictures, but people will be astonished when standing right in front of it. 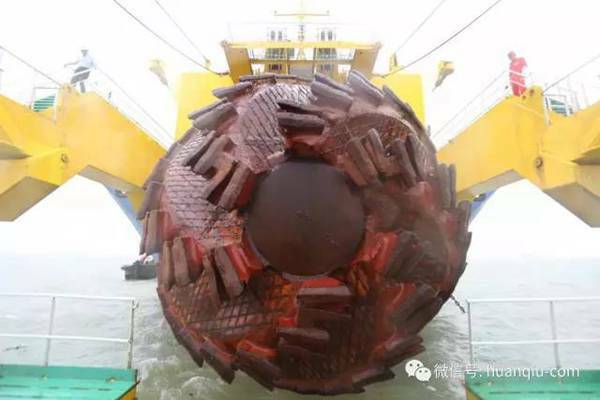 The diameter of small reamers is 2.8 meters, while that of larger ones could reach 3.15 meters, said Wang Ming’an, former Tianjing captain and vice general manager of the Overseas Business Division of the CCCC Tianjin Waterway Bureau Limited. It was learned that the unit price of the cutter tooth on the reamer, which is used for excavation, is 1,500 RMB ($223). Driven by a 4,200-kilowatt variable-frequency motor, the cutter teeth could excavate moderately- and highly-weathered rocks with compression strength as high as 40 MPa. “Concretes can be easily ground by the reamer,” said Wang, adding that rocks are as soft as mud for the machine. In addition, the dredger has two other “killer skills”: powerful self-propelling ability and advanced automatic dredging control system. The cockpit located on the top floor of the vessel is the “brain” that realizes the two functions. Covering an area of about 40 or 50 square-meters, the cockpit offers a strong taste of high-tech style that can easily be associated with the flight deck of a spaceship in a sci-fi movie. The automatic dredging control system lies in the cockpit, integrating all operations in a 2-square meter station. The remote control is operated just by clicking the mouse or pushing the buttons. Crew members can even take a cup of tea while excavating, a staff on the vessel explained. Positioning and self-propelling systems are on the two sides of the dredging control station. The staff member said that cutter-suction dredgers are not new as they have been widely applied in engineering dredging projects. However, most of them are not equipped with self-propelling systems. They depend on other ships to mobilize to different work points. As Asia’s first self-propelled cutter-suction dredger, Tianjing can sail to any part of the ocean. On May 25, China’s Ministry of Commerce limited exports of large-scale engineering ships. Without government approval, exports of cutter-suction dredgers with reamer power equal to or larger than 500 kilowatts, excavation depth equal to or larger than 15 meters, and installed power equal to or larger than 2,000 kilowatts, are not allowed anymore. Wang said all CCCC Tianjin Waterway Bureau Limited vessels are subjected to the export limitations. He added that their vessels could work in foreign countries, but purchases are not allowed. According to Wang, when the dredger arrives at a construction site, a key pile with a diameter of 1.8 meters is then laid and a transverse axis arranged on both sides of the ship bow. An axle beam weighing 1,100 tons reaches out to press the cutter in case the latter rebounds after touching hard sand and rocks under the sea, Wang explained. Tianjing’s mud conveyance distance is 6,000 meters. Tianjing looks like a walking person in water as its main and supporting piles submerge in turns. Crew members do not feel bored as Tianjing is equipped with facilities such as dormitory, playroom, fitness room, laundry, medical room and canteen. The average age of the crew is 28 years old. Usually, these young people have to work 3 consecutive months before they are allowed to have vacation. How to keep the food and vegetables fresh is a challenge. Li Yuelai, Tianjing political commissioner and deputy Party secretary of the CCCC, said most vegetables were damaged by wind and storm after some time. Tianjing has made China’s dredging industry comparable to the world’s leading companies, said a CCCC staff. Before 2005, Chinese dredging companies largely relied on imported equipment and the country’s dredger-building technology was undeveloped as a result of foreign blockade. 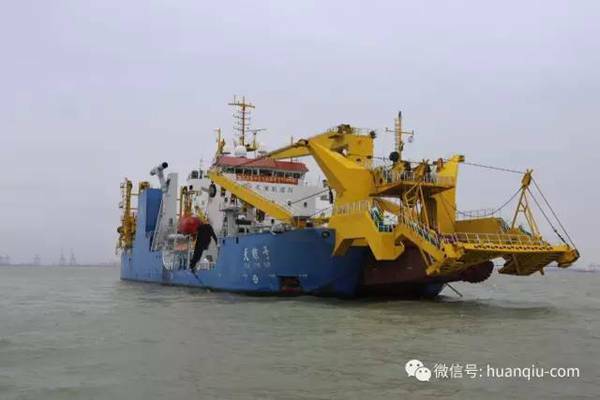 The able dredger has so far taken part in many hydraulic reclamation projects, Li said, emphasizing that Tianjing has attracted the attention of some foreign engineers. Besides Tianjing, China has also developed a more advanced self-propelled cutter-suction dredger named Tiankun. It has a designed production capacity of 6,000 cubic meters per hour and cutter efficiency of 5,000 kilowatts, a CCCC staff said. XICHANG — China launched two BeiDou-3 satellites into space via a single carrier rocket to support its global navigation and positioning network at 7:45 pm on Nov 5. The satellites were aboard a Long March-3B carrier rocket which took off from Xichang Satellite Launch Center in the southwestern province of Sichuan. This is the first two BeiDou-3 satellites launched by China, as its self-developed BeiDou Navigation Satellite System officially began to expand into a global network. Named after the Chinese term for the plough or the Big Dipper constellation, the BeiDou project was formally initiated in 1994. It began to serve China in 2000 and the Asia-Pacific region at the end of 2012. China plans to building BeiDou into a global positioning and navigation system by around 2020, making it the third country in the world after the United States and Russia to operate its own navigation system. Compared to earlier generation satellites, the BeiDou-3 is able to send signals that are better compatible with other satellite navigation systems and provide satellite-based augmentation, as well as search and rescue services in accordance with international standards. “New technology has significantly improved the performance of the BeiDou-3, with the signal accuracy in space higher than half a meter while its positioning accuracy has reached 2.5 to five meters, said Yang Changfeng, chief designer of the BeiDou system. China plans to launch 18 BeiDou-3 satellites around the end of 2018 to expand the BeiDou services to the countries along the Belt and Road routes. By around 2020, when the system goes global, it will have more than 30 satellites. “Launches featuring two or more satellites on a single carrier rocket will be conducted regularly,” said Ye Chengmin, deputy chief designer of the Long March-3A carrier rocket. All the BeiDou satellites currently in space were sent up from Xichang Satellite Launch Center, said Lin Yunan, head of the human resources department of the center. The BeiDou-3 satellites and the carrier rocket were developed by China Academy of Space Technology and China Academy of Launch Vehicle Technology, respectively. In February 2013, AVIC Shenyang CNC Machining Co., Ltd. took the lead in using "Huazhong 8" to complete the localization reform of the first imported Cincinnati LANCE2000 machining center. Due to the expensive parts of the aircraft entering the final finishing stage, any defects in the CNC system could result in the scrap of the parts, and Huazhong CNC and Shenfei Heavy are under enormous pressure. 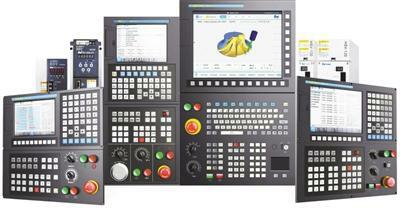 After nearly a year of production verification, CNC system can fully meet the requirements. AVIC Shengyang thus dispelled the doubts about the domestic CNC system and took out more than 30 sets of equipment to Huazhong CNC transformation, including the well-known foreign company Forest-line five coordinates large bridge gantry milling machine, double spindle gantry machining center More than one high-end CNC machine tools. At present, these CNC systems have accumulated more than 300,000 hours of operation, and their functions, performance and reliability have stood the test and played an important role in the processing of the key structural components of AVIC Shenyang's new fighters. "Huazhong 8" for the first time in the field of domestic aviation achievse the domestic high-end CNC system of large-scale, batch applications. Under the demonstration effect of AVIC Shenyang, "Huazhong 8" was applied in batches in key aerospace equipment industries such as Shanghai Aerospace Eight Institute, Aerospace Third Institute , Aerospace Fourth Institute and other key power generation equipment industries such as Dongfang Turbine Company. At the end of 2016, "04 Special Project" launched the "Brain Removal and Upgrading Project" in an all-round way to support the national defense and military industrial enterprises to mass-replace imported numerical control systems with the Chinese domestic numerical control systems so as to significantly enhance the self-controllability of manufacturing equipment and the level of industrial information security in the field of national defense and military operations. It is understood that, after having entered the first batch of upgrading projects, the top ten military industrial enterprises plan to complete nearly a thousand CNC machine tools "to change their brains and upgrades." As the main force of "brain-changing project", Huazhong CNC has conducted all-round cooperation with the top ten military industrial enterprises. Chen Jihong, chairman of Huazhong CNC, said that on the basis of the successful cooperation with the military enterprises in the early stage, the company will seize the opportunity of "brain-replacement project" and vigorously promote the application of "Huazhong 8" in the field of national defense and military.